Baltimore, MD freak Dan Deacon has really taken his weirdo art game to the next level recently, revealing a collaboration with Francis Ford Coppola, along with the Kitchener-Waterloo Symphony. Now, he's returned to work with old collaborator Jimmy Joe Roche, following up their Ultimate Reality DVD with a 17-minute short. 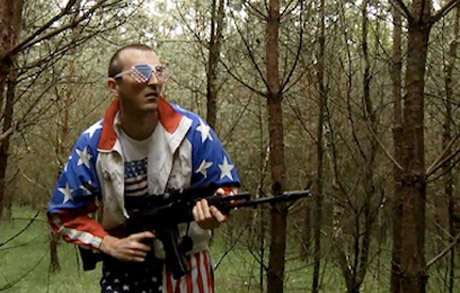 The clip was originally shot for the Netherlands' Incubate festival in 2010, and features druids, along with gun-carrying Americans, who dwell in the forest. The off-putting and weird video is called Hilvarenbeek and can be viewed below, courtesy of Pitchfork.